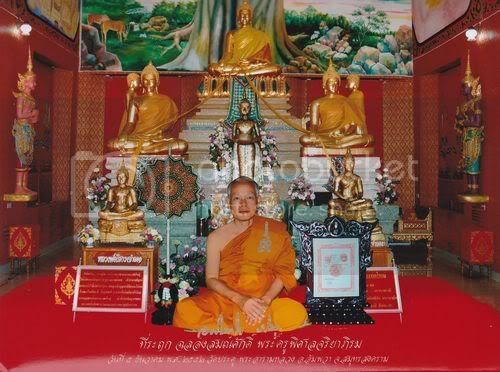 ORDER COUNTER ON TEMPLE OPEN ON 16th JULY 2012 FOR 1 day only from 8am -5pm, On this day of LP Maha Surasak Birthday. All funds will proceed to temple restoration and rebuilding. LP Maha Surasak personally write these batch of Takrut Solot Mongklon which will be the last batch he is gonna produce. Last edited by ett800; 24-06-2012 at 23:30. I Can help order at RM280 for Normal. Order closing by today, as i am gonna to travel to BKK this weekend.